I have a card to wish a very lovely lady a very Happy Birthday. She's been a guide and a mentor and surprisingly friendly - Paru Mahtani. It's her birthday today! 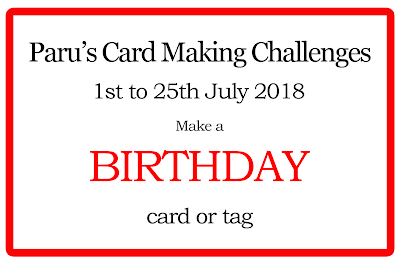 I used various tricks I learnt from Jennifer McGuire's videos for this card. The Distress Oxide painting is something you'll be able to identify. I have done DO lifting in this card (Inspired by Loll series card) but I had not done painting with it. 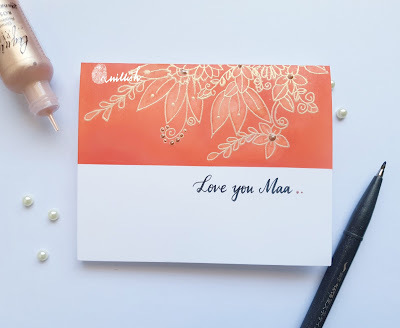 I used DO in abandoned coral and brick red for coloring these Magnolias from Altenew and used Spectrum noir for the shimmer. I wanted to do Monochrome card, couldn't go busier. I fussy cut the top of my Magnolias and used it as the front panel with my back panel giving a contrast. Jennifer had done it with dies, I used the idea of adhering the panel like her. I had done a similar card and Loll Thompson had CASEd mine, this card reminds me of that honour I received from Loll Thompson. Thank you so much for stopping by, I hope you like it. Cutting around the flowers really makes them pop off the card, Ishani. This is so lovely and I'm glad you shared it with us at The Flower Challenge. This is just gorgeous!! Your execution of this technique demonstrated by Jennifer Mcguire is awesome! 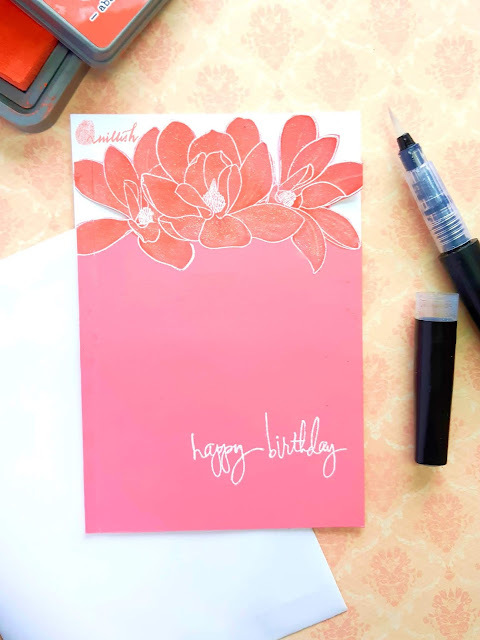 Beautiful technique you used and its perfect for the Sketch Challenge! Thanks for playing along at Your Next Stamp! Get Cheap Business Class Tickets to Chicago and Airfares deals on 2mycountry for your next Business class travel. Book now and save big on Business class fares. Hello there, I'm Ishani, welcome to my blog. I served my country as an Indian Air Force Officer and now am a happy SAHM and a crafter (when my toddler is at school or asleep). I love crafting and particularly card making. Quilling is another love and I try to incorporate quilling and other crafty elements in my work.